Opening a taxi business requires a lot of careful consideration and planning, just like any other business. Taxi businesses can make incredible profits. However, you need to know how start one before you can begin planning. If you want to learn how to start a taxi business, use our step by step guide below. The first step to starting a taxi business is to research the demand for one in your area. Business location is a big concern. You do not want to become a taxi driver if there is no one around your area who needs taxi services. Make sure that there is a demand in your area by checking driving apps. If not, consider locating your business in one that does have higher demand for taxi services. Once you know that people need taxi services in your area, you need to find a car to start your fleet of company cars. When getting started, you can rent a car online. Consider whether you would prefer to start with a sedan or a larger van. Remember to factor the area into your decision. If you will be running a taxi service in a college town, a van may be a better fit. If you plan on operating an airport taxi service, a luxury sedan may be a better fit. Consider your budget and business plan. Then, get your first car to start driving people to make money. Once you have a car, you need to get taxi cab licensing. This is a must if you plan to operate a business that provides both you and your future customers with legal protections. Taxi regulations vary by state and even by city, so make sure to research local taxi service regulations. However, many taxi apps are changing recent laws that allow anyone to become a driver. Then, follow all those regulations and laws to a T. Otherwise, your business will go under before you can begin. Getting licensed as a taxi driver will require you to have a proper insurance policy. This will be one of the greatest expenses for your taxi business. However, it is a must. Make sure you have a proper commercial auto policy in place. Shop around to find the price and plan that fits your needs best. Then, you can move on to the next step. If you want to be a taxi driver, you need to have a taxi meter in your first cab. The federal government regulates taxi cab measurement devices. So be sure to buy a taxi meter from a reputable source. You also want to make sure you get one that doubles as a credit card processor. Most people do not carry cash these days. These devices must also have a certificate of compliance that signals its approval from the federal government. Make sure you get a taxi cab meter with a C.O.C. if you plan on charging clients by the mile. Now, you’re almost ready to starting driving for hire. When you start picking up people, they need to get to their destination quickly. Make sure that you download a best navigation app for drivers. These apps avoid traffic, long routes and unexpected delays. Additionally, you won’t have to memorize an entire area. Rather, you can simple input an address and be on your way. There are quite a few GPS navigation apps available so get used to one before driving for pay. Now, you can start driving! Once you have completed all the steps above, you are ready to start marketing your business and getting the word out to customers. (Read our post “What Is Marketing” to learn more). During the early stages, you should consider advertising in local newspapers, bars, concert venues and hotels. These areas are a great place to find customers looking for taxi cab services. 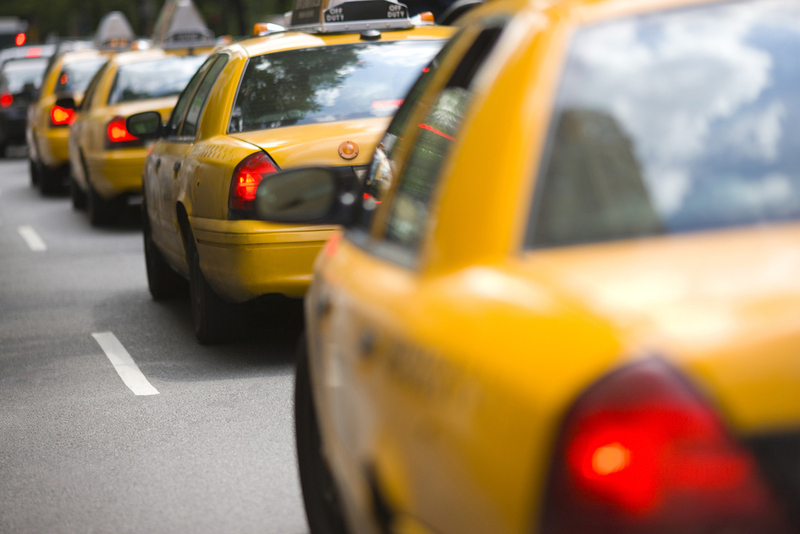 Once you make your first ride, you can officially say you have successfully started your own taxi cab business. If you want to start a taxi services business, follow the steps above. This step by step guide to starting a taxi business will help you to navigate the rough waters of starting your own automotive business. Then, make sure to market your new business in the area to bring new clients your way. Good luck!